In writing for my personal blog this week I came across two different articles on the return of anti-Semitism in Europe, not just Easter Europe though, France and Germany. For France, the anti-Semitism is a sentiment that appears to remain from the distant past when Christianity was everything to the nation and the Jewish people were a hated religious minority. Their anti-Semitism was rampant during the second world war, and they actively persecuted the Jewish people. For Germany the anti-Semitism is also historic but is also influenced by other factors. A recent influx of over a million immigrants and refugees, many of whom are from the Middle East or Muslim has stoked the feelings of anti-Semitism in Germany due to the Israeli-Palestinian conflict. 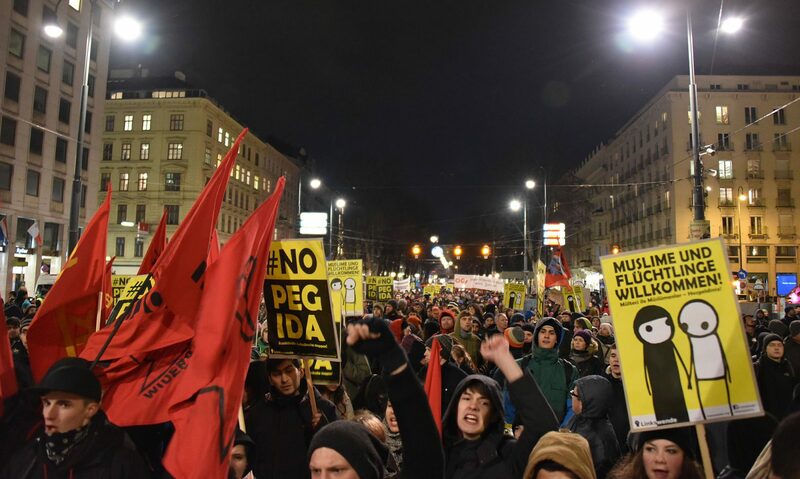 In Eastern Europe where countries tend to be, to put it bluntly, less progressive and less liberal anti-Semitism is on the rise again but for different reasons. For Poland, it is a call to a form of imagined, idealistic nationalism. As Maya Vinokour points out in this article, the new wave of far-right sentiment in Poland has aroused a desire to reclaim and save a pure Polish people. In order to do so, they need to point the finger at the impure, in this case the Jewish people. Rather than openly attacking the Jewish people, they are choosing to systematically erase Polish involvement in the persecution of Jewish people during the Holocaust, a form of historical revision. Their invented narrative also elevates and prioritizes Polish suffering during the second world war over the suffering of Jewish people. This a more subtle but still powerful form of anti-Semitism, as memory is a form of power. The resurgence of nostalgia for nationalist myths helps to explain the anti-Semitism in Eastern Europe alongside the rise of the far-right and totalitarian governments. In a couple of this week’s readings I found that there was an interesting connection in theme between a couple of the assigned pieces. Looking at G.M. Támas’ article as well as the speech from Viktor Orbán there is a somewhat shared idea that liberalism, as we understand it, is on the way out. Now, both these pieces address this in very different ways, but the fact that it is present in both readings is interesting. Much of Támas’s piece looks at how the term populism is applied to broadly, and that many people who are labelled this are just repeating old patterns of life. I found it especially interesting that he questioned whether or not Donald Trump was a populist. In the final paragraphs of his article, he notes that the political left are disappearing and that this is in part due to the fact that the practice living up to their own standards and ideals has been corrupted. The speech given by Orbán is much less academically critical in its description of liberal politics, but rather states that being liberal and economically prosperous and content are incompatible things. At one point he states that liberalism can only be put into practice in the realm of ideas. Both these pieces are interesting because they highlight the feelings about liberalism in Eastern Europe. Orbán’s speech does not seem out of place, seems relevant when considering more recent issues such as debates about free-speech in Poland. These readings raise interesting questions about the function of liberalism, and whether it is truly suffering in the way that these authors say it is, or whether these opinions are based on the history of their own political climates. I was interested to see how different these perspectives are from those we commonly see when discussing Western Europe and North America.